I believe that innovation is the lifeblood of our society, it is the one thing that is guaranteed to get me excited. Technological innovation allows our society to progress, makes our lives easier. I believe that it is something that we should not be afraid of, it is something that we should embrace. Recently, innovation around hearing aids has un-settled many within our profession. I believe that we should view that innovation with an eye to adapt it and integrate it into our Practices. I think that doing so will allow us to remain relevant to the prospect demographic who are our lifeblood. This article isn't about that though, this article is about taking a deeper look at a particular innovative technology that I really like and I think may have real benefits for your Practice. Just to let you know, we have no financial interest in Restored Hearing nor where we paid in any way for including them here. Restored Hearing is an Irish technology start up that focuses on innovative online delivery of sound therapy as their core business. They have been around a while and have gone from strength to strength with their product offering. I know, and like the ladies involved so I am probably not to be judged as a neutral protagonist, however, that shouldn't take away from the possible benefits of this technology to you. The product is called Sound Relief and is delivered over the web, either on their website or through their app. The sound therapy itself is CE approved and clinically validated. Like much sound therapy it doesn't work for everyone, however, it was found during the clinical trials that it had a 66% success rate. Those who found benefit had a 20% reduction in their tinnitus severity. 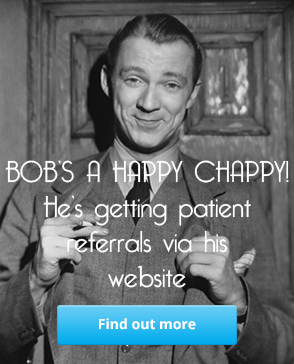 They also offer a free thirty day trial of the system which allows users to test the benefit to them free with no obligation. Yes Geoff, that's great, why do I care? I thought you might ask me that, within the functionality of the product is and in depth diary system that users can enter a host of details on. This allows them to track their tinnitus severity, ingestion of possible triggers and stress. This builds up into a comprehensive picture of a user's tinnitus. This diary function adds huge value to the product and it is where the value for you as a hearing professional is. 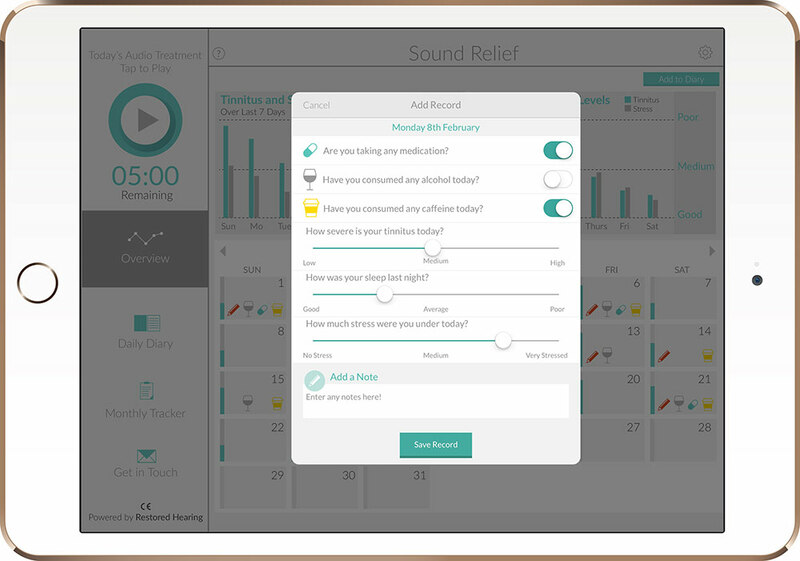 This diary function allows you to collaborate with a customer on their ongoing tinnitus therapy. It can be used to bolster your service offering and make the approach to your tinnitus therapy service collaborative. Many of todays health consumers want a collaborative approach to the healthcare. People who suffer with tinnitus in particular like the idea that they are re-taking control. This product allows them to do so and you assisting them with it makes you the person who is facilitating that. 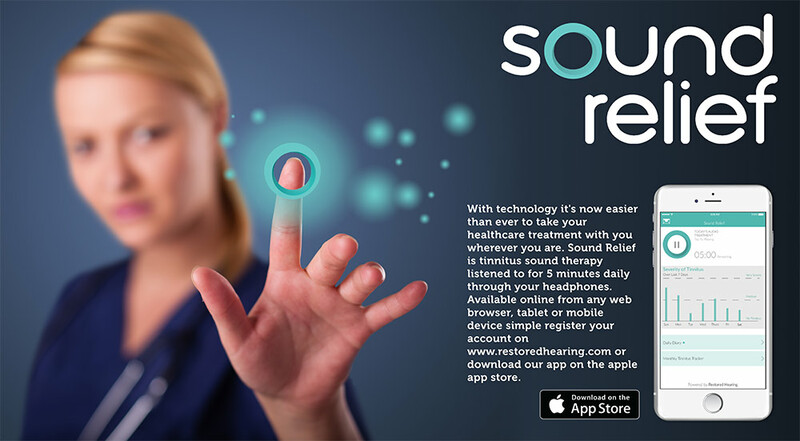 At present the user can share the information with you which allows you to keep abreast of the sound therapy treatment, the effect it is having and the possible tinnitus triggers that the user is exposed to. It is in fact a wealth of ongoing data that is only constrained by the user involvement levels. 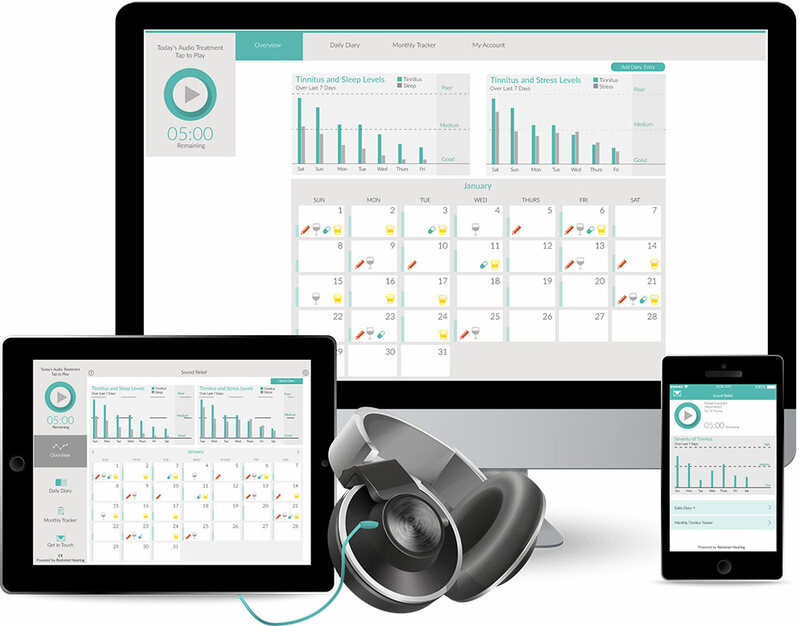 Restored Hearing have a plan to build a clinician dashboard, where a clinician can register a professional account which will give them access to the diary data from users who allow them access. This will be a formidable tool for a clinician and again will assist in the collaborative approach to tinnitus therapy.